By Susan Husserl-Kapit. Reprinted from True Romance: the Magazine of the Department of Romance Languages and Literatures, Harvard University, volume 15, 2005-2006, pp. 46-49. Thanks to Robyn Ochs for her encouragement for the creation of this article. Robyn wrote all of us to write her what we’ve been up to in the past year. That works for most of you but not for us, who left the RLL Department in the 70s. The story below is what we’ve been up to for the past 30 or so years! In the late 60s, a group of young college graduates enrolled in Harvard’s Romance Language and Literature Department with high hopes. All loving French language and literature, they hoped some day to teach French at the university level. By the time we finished our courses, however, America’s political and economic situation had changed. Jobs had become scarce. That meant that, while some of us did fulfill their academic dreams, some didn’t. Among those who didn’t, the completed dissertation was not the distinguishing factor, since not all those who finished did find full-time academic jobs. The people in this second category had to change gears and forge other career paths. As did the third category of RLL alums who, for varying reasons, did not finish their dissertations. One of them, Donna D’Moch Warner, was struck by the aptness of a recent article in a Harvard publication: it advised graduate students to pick a topic they love. If not, it warned, working on the thesis just might be torture! That did indeed derail some of us. Problems with thesis advisors derailed others. And life itself pulled others off the PhD track. This article will give updates on all of us, starting with those whose careers followed a straight line and wending its way toward the more unexpected paths and destinations. After my thesis, I turned to Transformational Grammar, but with the empirical support for the innatist model becoming increasingly tenuous, I sought inspiration elsewhere. Stephen Jay Gould’s Ontogeny and Phylogeny provided me with the necessary insight to show that languages evolve and to define the process. I have my detractors, but the challenge of defending language evolution is stimulating. See Bernard’s profile on ResearchGate. After Hadley Wood got her PhD, in 1972, she got a teaching job at SUNY Brockport, and, five years later, at Point Loma University in California. She taught French at the latter for 22 years, became full professor and department chair before her career took “a very sudden turn.” In January 2000, she explains “the Provost asked me to create and develop a Center for Teaching and Learning on our campus.” She took on the new job while also teaching French until 2004, when she finally decided that she could really only do one. At that time she left teaching to become Dean of General Education and Vice Provost for Faculty Development. “I think I already knew, while at Harvard, that I was more interested in teaching than in research. So I feel that I have actually ended up with a career that well fits who I am and that has allowed me to do things I feel passionately about. See her faculty profile at Point Loma, San Diego, CA. With a Ph.D. in Romance Languages (’72) from Harvard University, and a M.Div. from Weston School of Theology (’74), John Michalczyk began to teach at Boston College. He started there teaching comparative literature in the Honors Program, including film studies in his courses. His next step was teaching mostly film history courses, and the final one was making documentaries for PBS. Now, he combines all of the above, while chairing the Fine Arts Dept and co-chairing the Film Studies Program. “I am currently teaching La Nouvelle Vague,” he writes, “and go back to my original research in French on the topic.” He adds that he occasionally teaches some ideas about his doctoral thesis on art, film and propaganda in the Spanish Civil War, using the Malraux novel of his thesis as a focus. See his faculty profile at Boston College. Susan Dunn took one of the most startling career paths we could have imagined! She also went straight from Harvard to her first job and stayed there. In her case, it was Williams College. That part is a straight line. But then, she switched from French literature (Ph.D., ‘73) to American political history! She adds that Williams made her a professor of humanities so “I can teach whatever courses I desire. I still like to teach one French literature course a year — how can I give up my favorite authors?” See her faculty profile at Williams College. teach at the University of Michigan, with her thesis to be finished within three years. In order to meet the deadline, she had to track down her thesis advisor in Cambridge during his short stays there and even fly to Paris for consultations. After teaching at Michigan, she was happy to relocate on the East Coast in the Washington DC metropolitan area. She lives outside Washington, DC, in Maryland and works in Virginia. I myself, Susan Husserl-Kapit, got my doctorate in 1973, and started, like Richard Ferland, teaching part-time at several institutions simultaneously: Harvard, Radcliffe Institute, Boston University, and others. Because I was single, I feared terminal loneliness if I left Boston for a rustic area. Nonetheless, after teaching at the Extension for nine years, I had to leave because of an old Extension rule that all instructors must already teach full-time elsewhere. I therefore accepted a position outside Boston, at the Phillips Exeter Academy. The teaching level was similar to Harvard’s so I stayed until I found a similar position in Boston. The level was the same, plus I could return to the city! Determined to teach in an environment like the Extension, I did the next best thing, taught at the Boston Center for Adult Education, which led me to form my own adult education program for professionals. I also worked full-time at Houghton Mifflin, editing French college textbooks. I now divide my time between freelance textbook editing, authoring language books, and private instruction. I do what I love – teach French to motivated students, determine my own hours, and have the best commute possible. Richard Kennedy was at Harvard from 1967-69, then two years in the army, then back at Harvard from 1971-1975. He had always intended to teach college, he writes. Unfortunately, however, he eventually realized that he couldn’t follow the advice Donna mentioned above: he couldn’t relate well to his topic, Julien Green. He left Harvard with an M.A. in 1975 to teach French, Latin and English at two different private secondary schools: Dwight-Englewood School (‘75-‘01) and then Oratory Prep (2002-now), both in New Jersey. He has now found that something at Oratory Prep! See his page there (Summit, NJ). In 1999, he founded Contract Software Engineering, Inc. so that he could work for his own company, he writes, “and invoice clients directly.” At present he works for Thomson Financial in Boston. 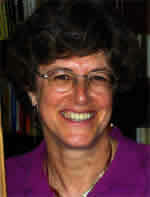 That led her to her MBA in 1984, after which she directed several non-profit programs. Since 1996, she has served as director of Strategic Planning and Program Development for the Massachusetts Tobacco Control Program. Like some others, Louise Apfelbaum Masurat had trouble finishing her thesis when her advisor, Professor Solano, retired right after her General Exams. With no professor in her field, Old Provençal, to advise her, she moved on to several other careers. After Harvard, she taught English at Boston’s Fisher College, and then became an editor in the New York area, editing works as varied as cookbooks, cowboy novels, and science books by Carl Sagan! Her next career was as a real estate broker in rural New Jersey, following which she taught both real estate and humanities at her local community college. In 2000, she moved again, this time to Pennsylvania, where she became active with the University of Delaware’s Academy of Lifelong Learning. She taught five courses there last semester, including cinema and computers. Legally blind (from Retinitis pigmentosa) for the last eight years, she moved with her husband to a continuing care community in the Chapel Hill, NC, area. She just might continue teaching in the Lifelong Learning institution in that area! Kitty Kovacs, who’d gotten her BA in Spanish, switched to teaching Spanish and film early on. She taught at USC, then at Whittier College and wrote both on film and Latin American literature. She passed away in 1989. Roland Tobin was a Christian Brother, had his MA, and had taught at Stonehill College before Harvard, without, we think, completing his dissertation. After Harvard, he was Director of the GTE English School in Algeria. He died a few years ago. John Lappin passed away in 2005. Janeen Kerper died about 2002. She left Harvard after her M.A. in French. She then went to law school and practiced law in San Diego.